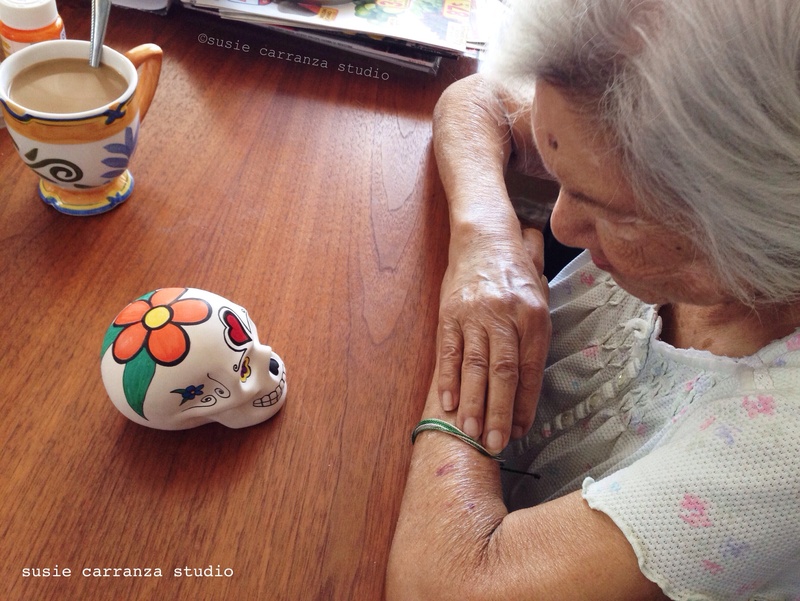 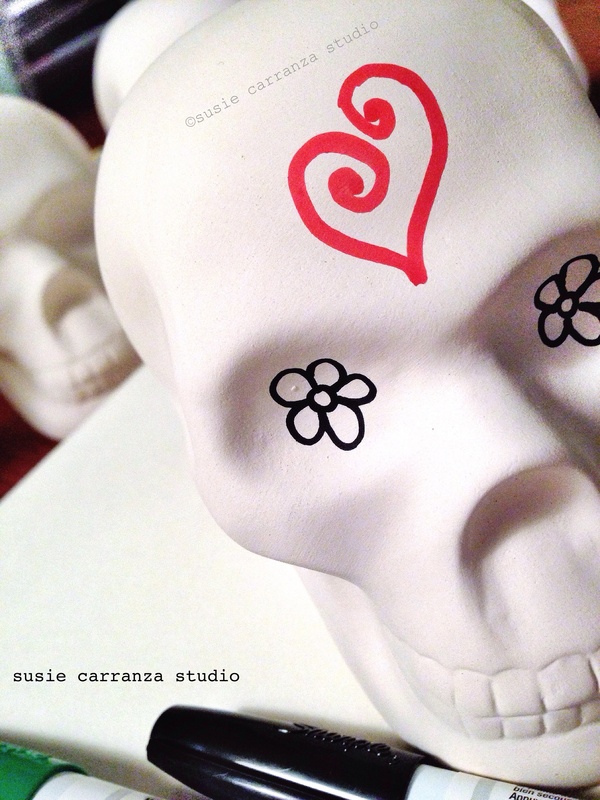 So, following Dr. Elena’s orders, here’s what I’ve been working on – hand painting these awesome ceramic skulls. 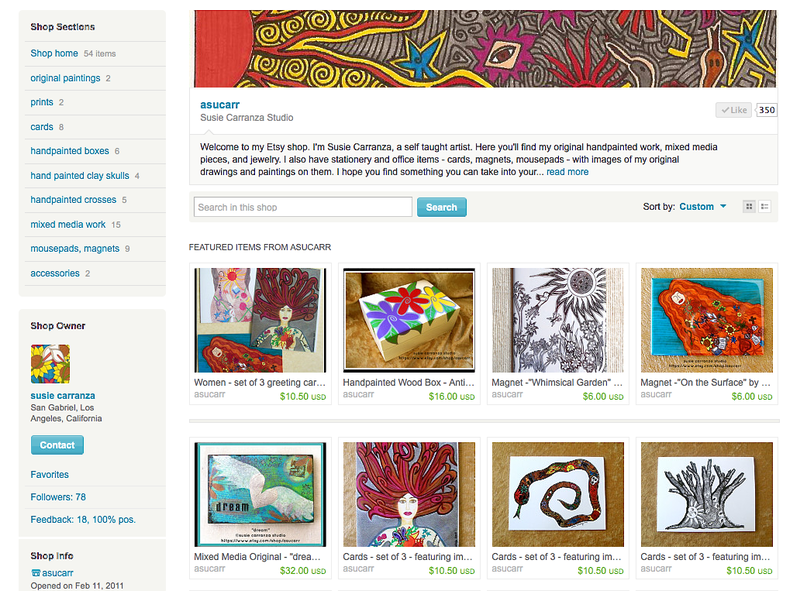 They’ll be available soon in my Etsy art shop. 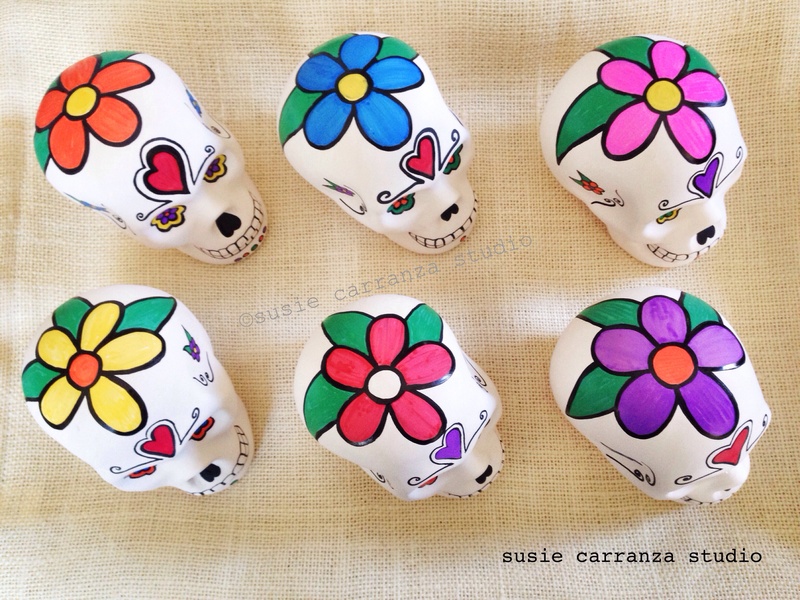 couldn’t wait to put some color on these cool ceramic skulls! 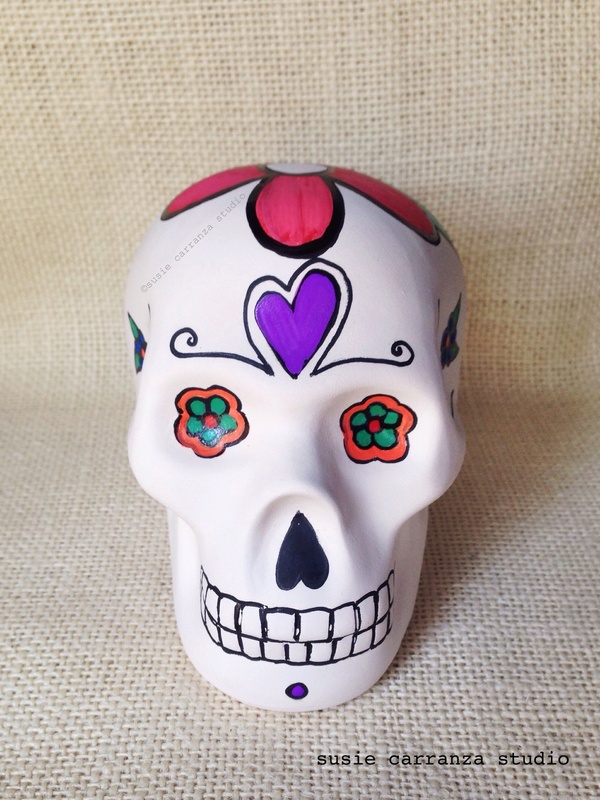 one of my hand painted ceramic skulls – what do you think? 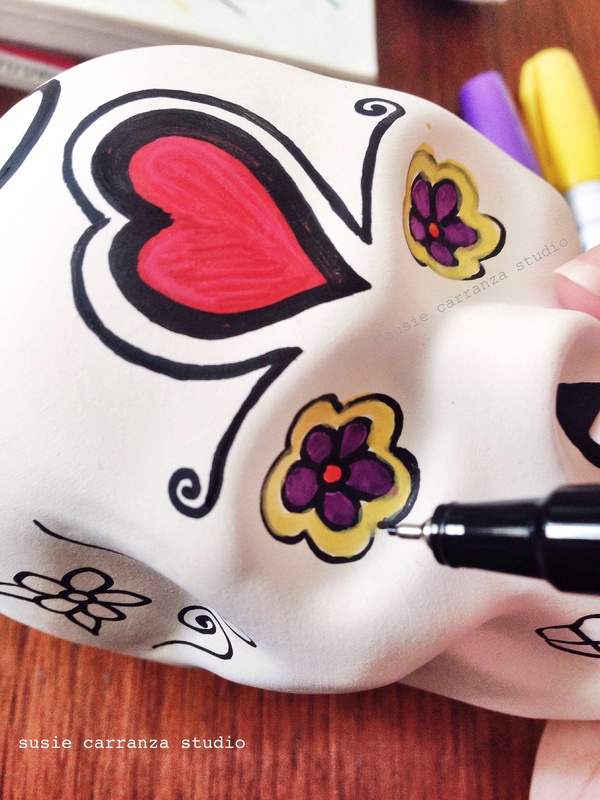 almost finished – and coming to my Etsy art shop soon…! 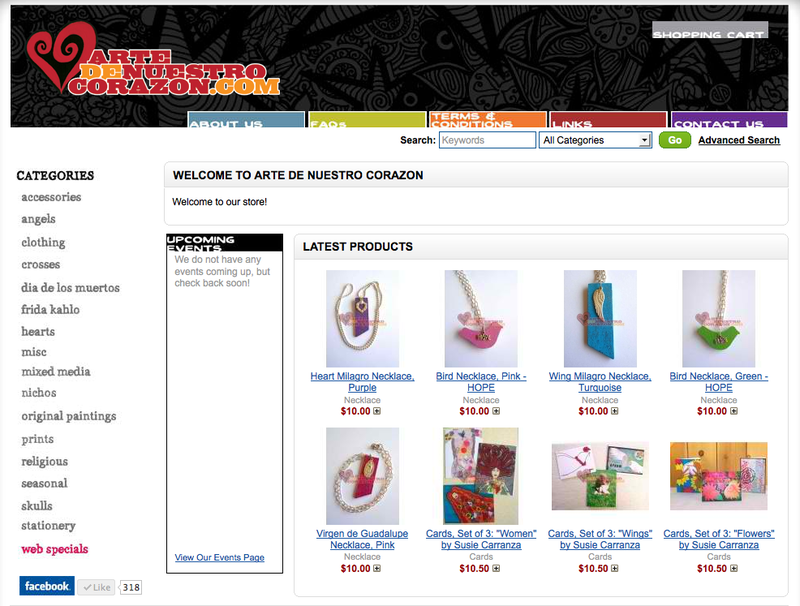 You can also purchase my work at www.ArtedeNuestroCorazon.com, as well as my husband’s work (Lawrence Aguilar). 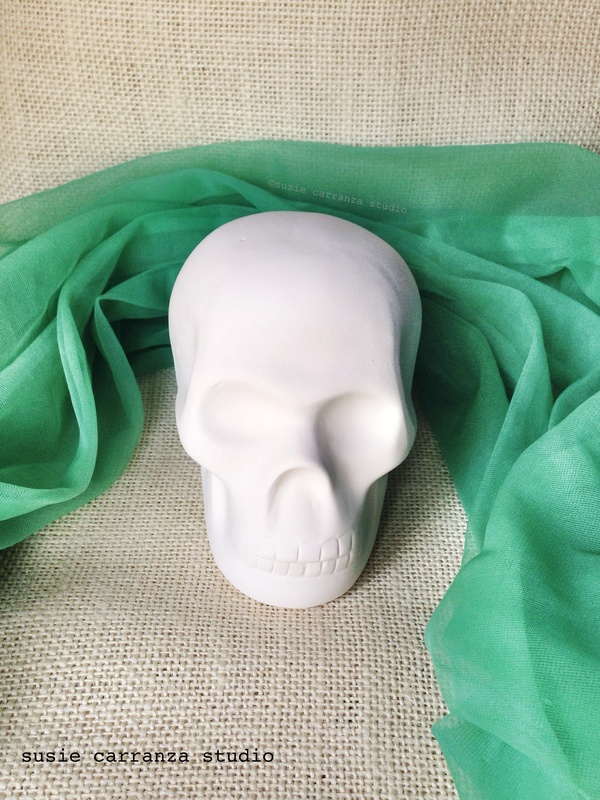 If you’re a creative yourself, please check out my second Etsy shop, offering art and craft supplies (unpainted ceramic skulls above will be available there soon!) 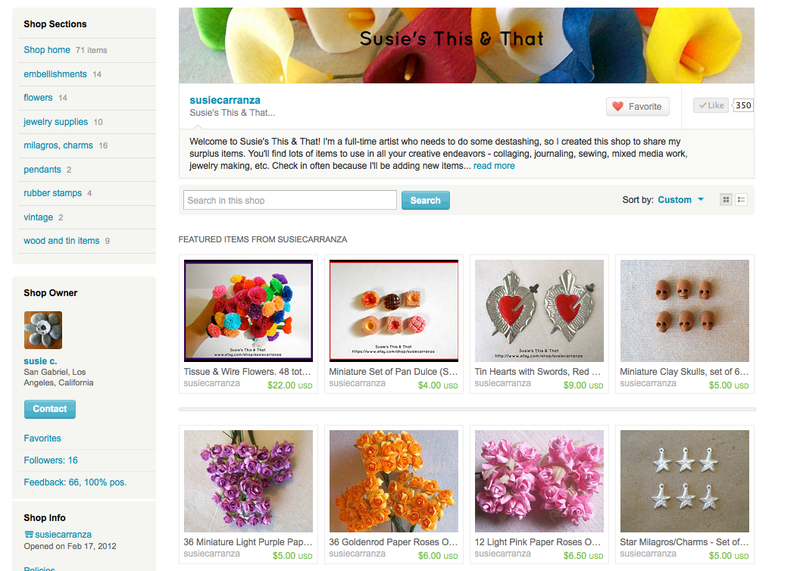 – Susie’s This & That.